What is SPECIFIC Canine Special Care Weight Reduction wet food? 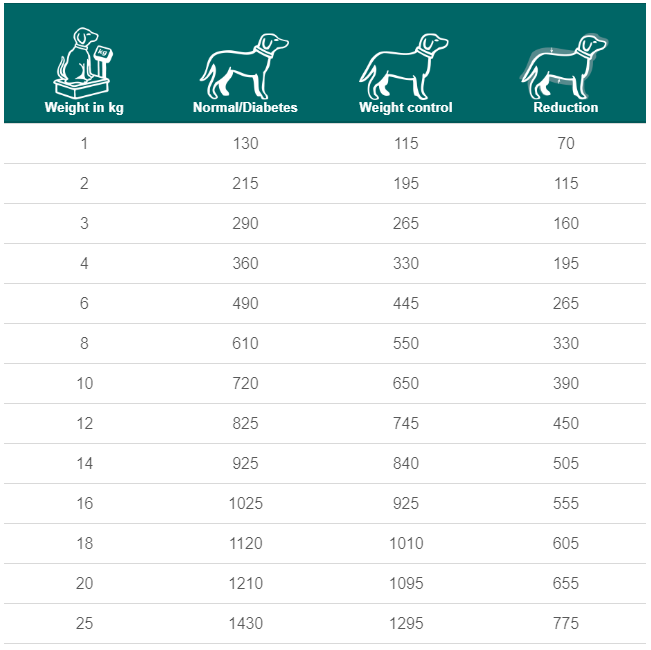 SPECIFIC Weight Reduction is a complete and balanced wet food for dogs that are needing to lose weight. It contains high levels of Omega-3 fish oils to promote healthy coat, skin and joints. What are the benefits of using SPECIFIC Canine Special Care Weight Reduction wet food? 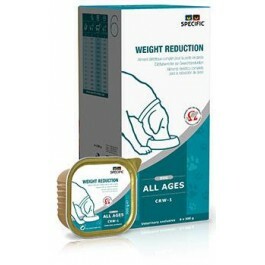 What is in SPECIFIC Canine Special Care Weight Reduction wet food? Crude Protein 7.1g, Crude Fat 2g, Carbohydrate 8g, Crude Fibre 4g, Calcium 0.2g, Phosphorus 0.13g, Sodium 0.07g, Starch 4.7g, L-carnitine 8mg, Omega-3 0.1g, Water 77.7g, Ratio n-3:n-6 1:2. 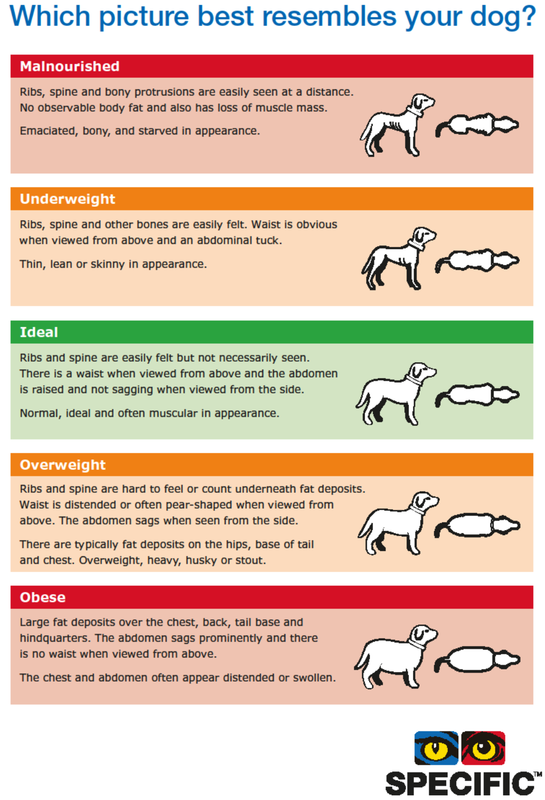 How much SPECIFIC Canine Special Care Weight Reduction wet food should I feed?